For Pub-a-thon 2017, Steven has asked us to put together a 14 day plan for our manuscripts. 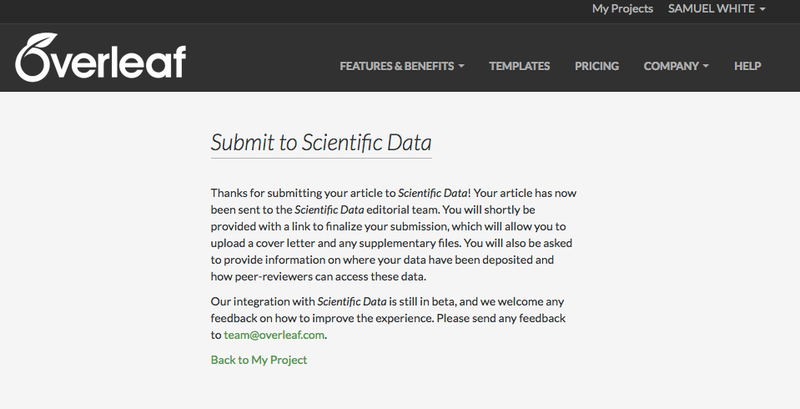 Current: Overleaf for final editing/formatting before submission Scientific Data. Archival: Authorea for initial writing/comments. Archival: GitHub for initial writing/issues. Convert .xls data records to .csv to see if they will render in OSF repo. Deal with any minor edits. Assemble figure: Puget Sound map. Submit? Depends on what Steven’s availability is to finish of Background & Summary and write up Abstract. 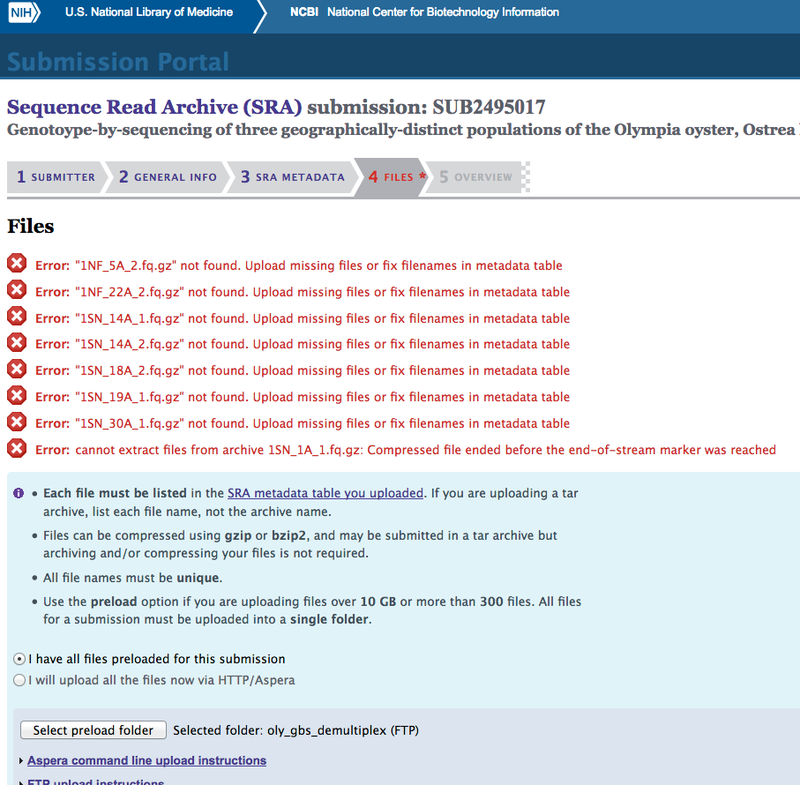 I had previously submitted the two non-demultiplexed genotype-by-sequencing (GBS) files provided by BGI to the NCBI short read archive (SRA). Recently, Jay responded to an issue I had posted on the GitHub repo for the manuscript we’re writing about this data. He noticed that the SRA no longer wants “raw data dumps” (i.e. the type of submission I made before). 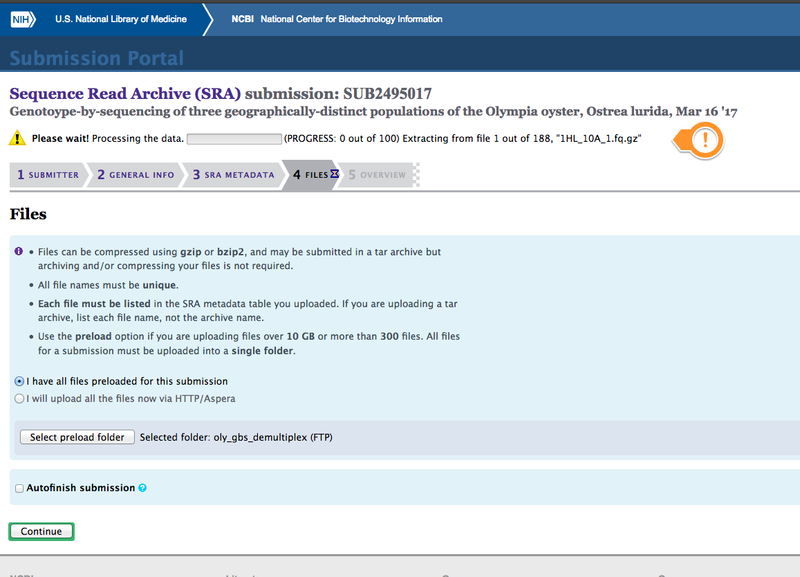 So, that means I had to prepare the demultiplexed files provided by BGI to actually submit to the SRA. Last week, I uploaded all 192 of the files via FTP. It took over 10hrs. 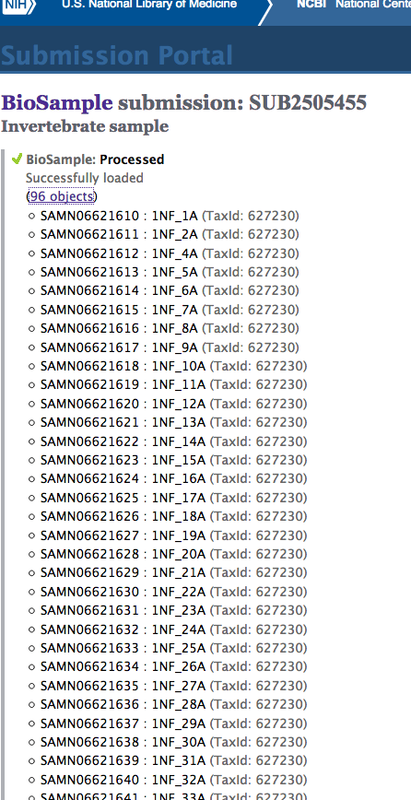 It seems like the FTP failed at some point, as there’s nothing about those seven files that would separate them from the remaining 185 files. Additional support for FTP failure is that the 1SN_1A_1.fq.gz error message makes it sound like only part of the file got transferred. I’ll retrieve those files from our UW Google Drive (since their original home on Owl is still down) and get them trasnferred to the SRA.